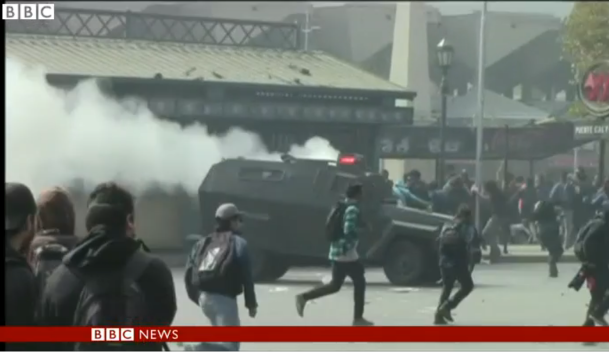 Police and student protestors have clashed in Chile's capital Santiago. The students and their families were taking part in a massive nationwide demonstration, demanding free and quality education for all. Gideon Long was at the protest.